Wesgro’s International Trade Unit has assisted Western Cape Halal companies enter the Senegalese market and secure a number of lucrative trade declarations for future business in Senegal. Wesgro’s International Trade Unit embarked on a trade mission to Senegal to provide Western Cape Halal companies an opportunity to enter the Senegalese market. The mission featured five Halal companies among others, which are producers in the agribusiness, manufacturing and engineering sectors. The mission resulted in a number of lucrative trade declarations for future business in Senegal. Six companies signed export deals worth R18.3 million over five years which are expected to create 24 new jobs in the Cape, while three companies signed outward foreign direct investment declarations worth R92 Million over five years that will create 60 jobs. “This is an exceptional result that will cement Wesgro and the Western Cape’s presence in Senegal and its Halal market,” said Wesgro CEO Tim Harris. “Cape Town is a diverse, cosmopolitan city with a rich history embracing many cultures and religions. We have a strong local Islamic community and it is the our hope that we can continue to strengthen ties with international Islamic communities and welcome more international visitors to our city to learn about the centuries old history between Cape Town and Islamic community,” said City of Cape Town Mayor Patricia de Lille. “The latest partnership with Senegal illustrates the importance of growing the Halal industry. The impact on jobs and economic growth is clear. As part of our Project Khulisa strategy, we have set ourselves the target of adding up to 100 000 jobs to the agri-processing sector. Our data shows that by maximising our reach into the growing global Halal market, Western Cape Halal industry businesses could create 32 000 jobs. A key part of this strategy is developing the capacity of emerging local entrepreneurs to benefit from this growth. This is why we are investing in our supplier development programme to ensure small businesses in the Halal industry are able to take advantage of opportunities in this lucrative industry,” added Western Cape Economic Opportunities Minster Alan Winde. The Halal industry is growing with pace worldwide, based on the needs and preferences of 1.6 billion Muslims around the world. This creates opportunities for enterprises, especially in developing economies. In 2015 the Halal food sector was valued at approximately $1 trillion. Global Muslim consumption of food, cosmetics, personal care and pharmaceuticals is estimated at $1.26 trillion, of which around $250 billion is traded. The Halal Value Chain Analysis, commissioned by the Western Cape Government, estimates that the Western Cape has R10 billion, or 0.3%, share of this trade. Islam is the predominant religion in Senegal, with 92% of the country’s 15 million people estimated to be Muslim. In addition, Senegal is a key conduit for trade into landlocked parts of the region, and has also assumed more regional importance as businesses have shifted there as a result of instability in neighbouring countries of the Western African francophone region. According to research conducted by Wesgro, the Western Cape exported $16 million worth of goods to Senegal in 2016 compared to $14 million in 2015, representing a 10% year on year increase. The province’s top three exports to Senegal were apples, pears and quinces; tall oil and citrus fruit. 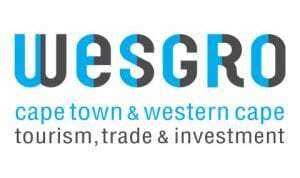 In addition to Senegal, Wesgro’s strategic objective of positioning the Western Cape as key supplier of products and services into Africa includes leading trade and investment missions to countries such as Ethiopia, Ghana, Nigeria, Angola, Mozambique and Namibia. For more tourism, trade and investment information on Senegal, download the Wesgro Research Department’s latest Senegal Fact Sheet, click here.